The 2019 community film will be shot June 7-9, 2019 and is “The Golden Years” by Joe Starzyk which won Best Short screenplay at the 2019 film festival. To take part, fill out this form by May 15. In 2011, the Oxford Film Festival became producers with its first ever Community Film project. 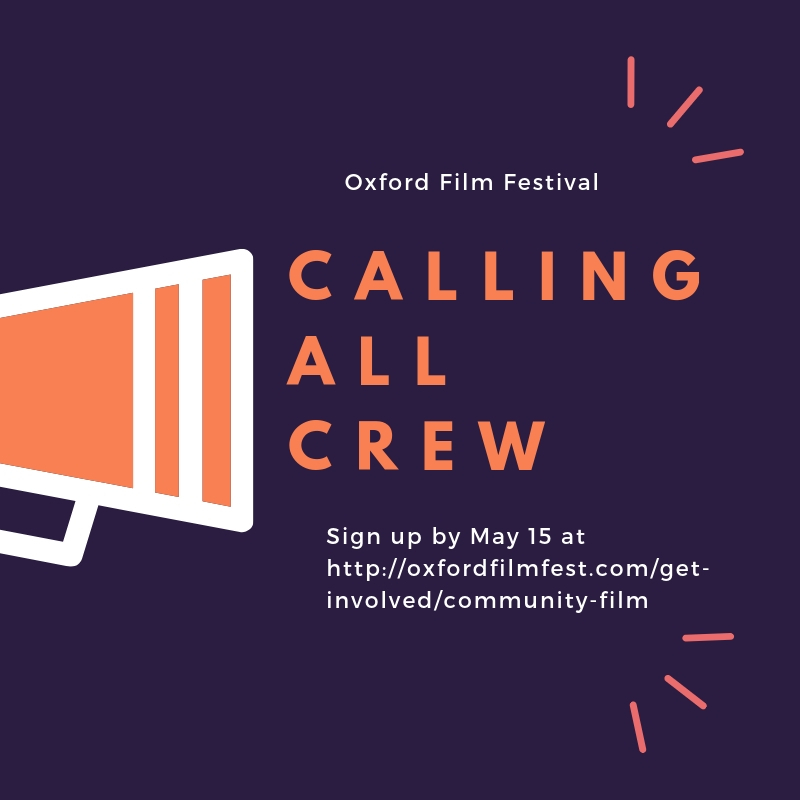 Designed to showcase local talent and bring the filmmaking experience to a local level, each year's community film is a comedy short written, directed, and edited by local filmmakers, cast with local actors both professional and non-professional, and staffed by local volunteers. Countless members of the community pitched in behind and in front of the camera to make the film a reality. The final product then premieres at the next Oxford Film Festival.